Comprehensive international trade event also name the 122nd China Import and Export Fair finally was held in Guangzhou Pazhou Exhibition Hall on October 15th, 2017. We haojin not only have the new products in this exhibition but also get to be awarded the honorary title "Recommended Export Brand". 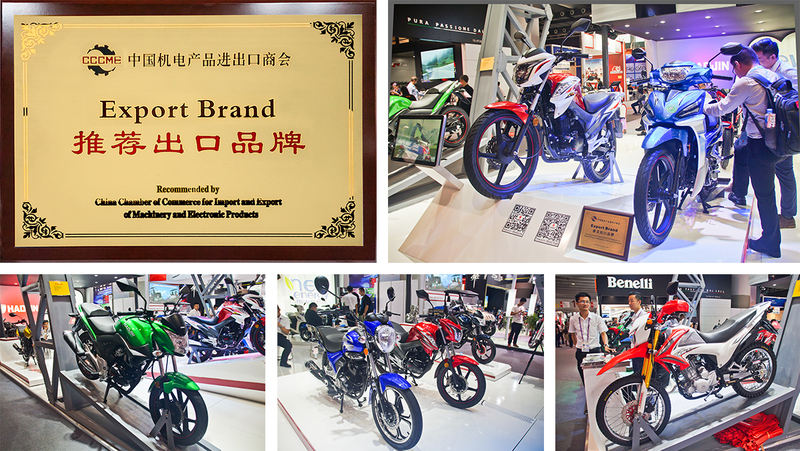 In Guangzhou Pazhou Exhibition Hall, Haojin showed a series of independent R & D models and two new engines which include Prince vehicle TAURUS, FABIO, curved-beam motorcycle LYRA, off-road motorcycle HAWK, street sports vehicle EVO150R, ZEUS, RICO and so on. Some models are using the EFI technology and power show is presented by CBF200 and CBR300 water-cooled engine. 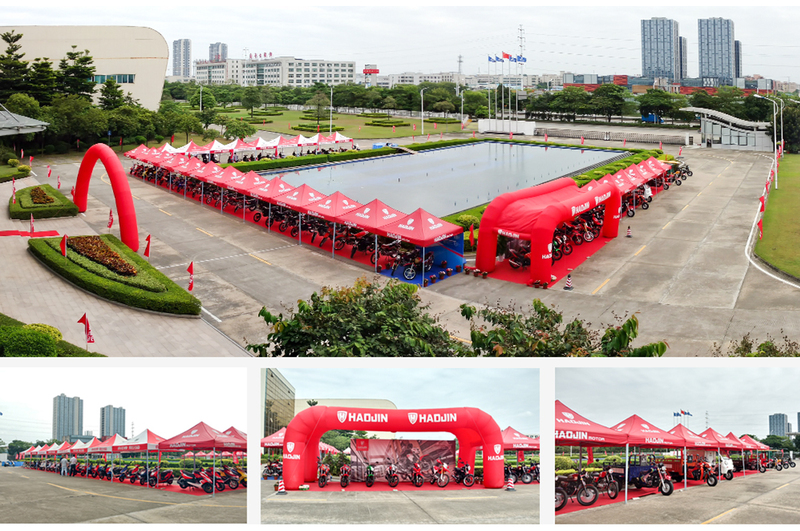 At the same time, Haojin also launched clean-energy motorcycle series, attracting attention from a large number of merchants and winning praises from many customers. Haojin Motor carefully prepared for this Canton fair in order to meet with customers, it sets up a total of four product-display area in industrial park and test driving area with showing about one hundred model samples for the reference of customers. The dual-display of Haojin’s products and brand in this Canton Fair fully demonstrated its R & D strength and persistent pursuit to quality.It will not only bring better products and services to global users but also laying foundation for business development at home and abroad in the future!